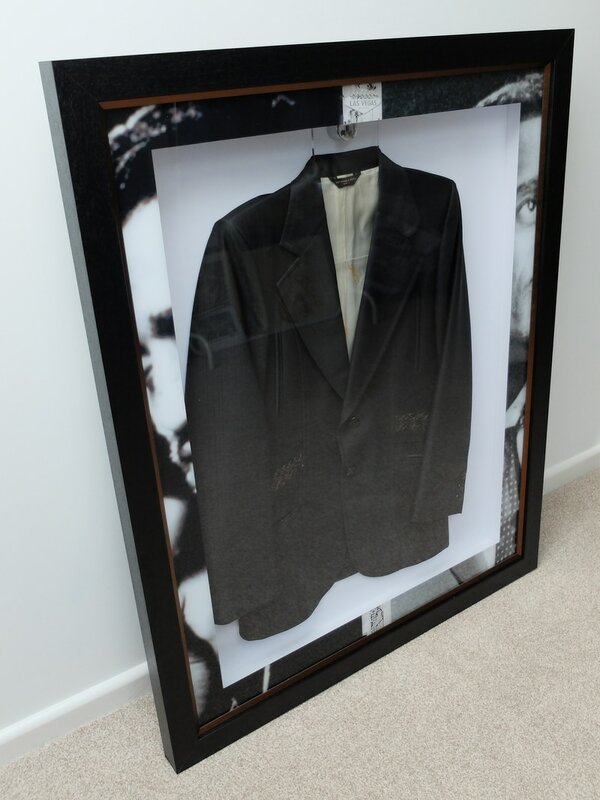 This is Sammy Davis Juniors jacket as worn in Las Vegas. This is a deep box frame, acrylic hanger and inPicture's unique border system. ​We are happy to create a bespoke frame or solution for you. Have you got that piece of art or object that has been lying around for a while? Well is it about time to consider what can be done with it? Whether you are looking for a bespoke solution for your home, a gift for all occasions like weddings, birthdays etc, we can hand build & deliver your personalised and unique 'one off' frame or display within days. Our bespoke and customised service gives you security that your framing project will be 100% unique and built with the best quality materials and workmanship. Some examples of our work can be found in the gallery section of this site. We are delighted to have had the opportunity to work with premiership footballers on a build and home install basis. The picture to the left is an example of our unique style and imaginative approach. Bespoke framing is an area that needs to be discussed, so please just call or email us and we will be happy to help you with ideas on any of your framing requirements. ​Please call 07599 721007 or use the contact page provided on this site. Please click through our site to understand how we can help and support your Art and Framing requirements.